We have two new products, both of which have been designed especially for rail centred operations. The EasyCabin ecorail3 and ecorail4 are self contained eco mobile welfare, office and storage facilities for the rail sector. 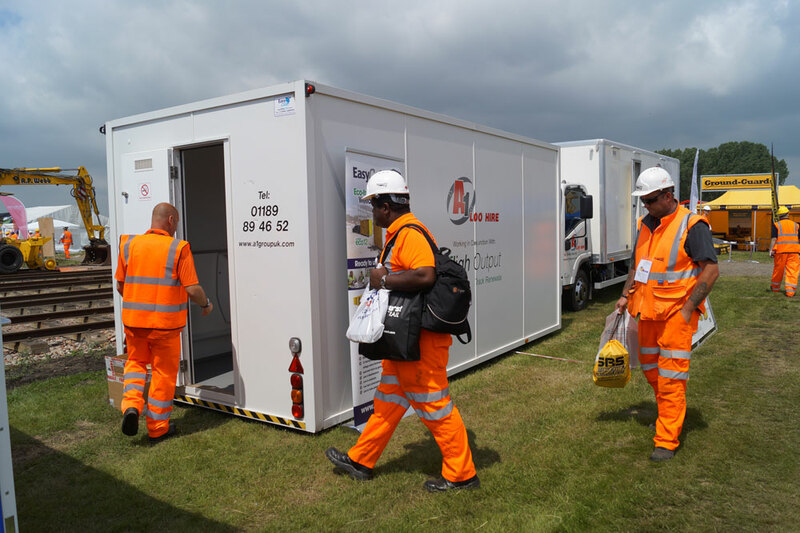 Each unit is fitted out with canteen/office facilities with a hygienic ceramic fresh water flush WC and a large storage area featuring a substantial 2800kg payload. Power is maintained via an AJC eco power and heating system, alongside external LED lighting. Both of these units are fitted to an Iveco Euro 6 chassis which is delivered with a three-year warranty, PDI, tachometer calibration, road fund licence and first registration fee. The ecorail4 accommodates up to ten persons and the WC is fitted with a Hogloo incinerator, which means no waste is contained within the unit. In summary, both the ecorail3 and ecorail4 are easy to maintain, have reduced carbon emissions and economical fuel consumption. With low in noise pollution, both sets are fully compliant with HSE regulations. Their robust construction makes them ideally suited for the demands of the rail industry. The Track Safety Alliance (TSA) is an industry wide group which was formed in 2011 to allow a number of concerned stakeholders across the industry to develop and share best practice. This is largely focused on the improvement of health, safety and wellbeing of track workers. As part of their ongoing initiatives our sister company, AJC Retail Solutions were asked to develop an innovative rail side pod for dispensing of hot drinks and refreshments. With this in mind AJC Retail Solutions produced the Fatigue Reduction Pod, which has recently gained Network Rail approval. This is a highly visible hot drink dispenser that fits on a standard railway bogey – it has a high performance hot water boiler providing almost instantaneous hot water for coffee/tea making. The pod is fitted with an internal storage area for both consumables and ingredients, with enough stock for multiple day operation. It is easily cleaned, maintained and restocked.